With the change of seasons comes new restaurants—but it also means the passing of others. There are a lot of reasons for a restaurant to throw in the proverbial towel: anything from a bad concept to a lukewarm welcome, chef shuffles, landlord and leasing issues, redevelopment, too much competition, or simply running its course. In late July, shocked Lark Creek Walnut Creek customers were greeted with papered restaurant windows and a sign on the door with a simple message, “Thank you for your patronage over the years! We have decided to close our doors.” Once the darling of Chef Bradley Ogden’s gastronomic empire, Moana Restaurant Group—the company which owned Lark Creek—cited high rent, revenue losses, extreme competition, and increased wage demands as the reasons behind the closure. Commentators on social media bemoaned Lark Creek’s outdated menu and white table cloth style, as well as a menu that fell short of expectations. Others are still reeling from the loss of a restaurant that put Walnut Creek on the Bay Area culinary map. A few weeks after Lark Creek closed, Sunol Ridge followed suit on the same block of Locust Street, followed by House of Chicken and Waffles at Olympic Place. More recently, Library on Main also shuttered its downtown eatery. 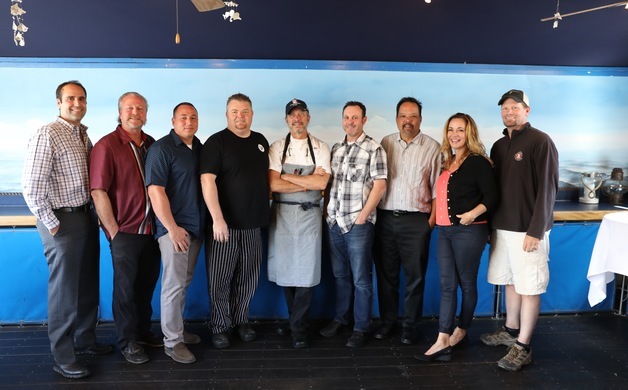 Given the challenges faced by the local restaurant economy, which mirrors state and national trends, Walnut Creek Magazine met with a group of savvy, local restauranteurs to get their take on the state of the food industry and what the future holds. The number one challenge is the labor shortage. In a time of low unemployment, finding qualified applicants for physically-demanding jobs, who are willing to make modest wages, is becoming increasingly difficult. Chef Kevin Weinberg of Walnut Creek Yacht Club says, “We used to run an ad on Craigslist and hundreds of resumes would come in. Now, I’m lucky to get one a day and then hope they show up for the interview.” With plenty of new buildings going up in Walnut Creek, Weinberg says the local construction industry has attracted restaurant workers with higher wages. Some have pursued creative solutions. Joe Stein of Sunrise Bistro only hires at the bottom of the ladder, and then promotes from within. “I hire dishwashers and hosts from local culinary programs such as the one at Mt. Diablo High School.” Joe has an inside track on these graduates, as his mother, Sunrise co-owner Cindy Gershen, created a curriculum and training program at Mt. Diablo focused on sustainable hospitality. Another place for restaurants to find culinary talent is at the Diablo Valley College’s Culinary School. Chef Rodney Worth, whose portfolio includes Danville’s The Peasant and The Pear says, “Some nights my teenage son runs my pizza line.” Worth also offers current employees cash bonuses for referrals stating, “My best people come from my current staff.” Susan Rizer of Corner’s Tavern agrees. Her dedicated workforce has been built from both employee and patron referrals. The minimum wage is going up across the nation. And while all service industries are affected, the living wage movement in California affects restaurants disproportionately. Weinberg has calculated that the .50 cent increase stipulated to begin in 2018 will cost his business $40,000. With narrow two to three percent profit margins common, wage increases can spell disaster for small restaurants. But make no mistake, all of the owners at our roundtable feel strongly that their loyal staff deserves fair compensation, but wage inequality is a looming issue. Raising food prices on menus may seem like an obvious solution, but that’s a slippery slope. Do diners really want to pay $25 for a burger? Biale, along with others in the California Restaurant Association, are pushing for a state-wide adjustment to the language of the minimum wage laws to include tips. Forty five other states do just that. Another option being explored is tacking on service surcharges to checks similar to other hospitality sectors like hotels, airlines, and rental cars. Others point to a tiered minimum wage system based on job function or experience. “Why should a high school teenager get the same rate of pay starting off as a long-time prep-cook who has years of work history? If things don’t change, we will be left with either a Chipotle/Panera model or super high-end dining. No one solution fixes the issue, but it helps close the gap, saves businesses, and keeps people employed,” says Biale. Within just a few blocks of Locust street, where Lark Creek once prevailed over the downtown dining scene, over the past couple of years Broderick, Sauced, Limon, Lokanta, Momo’s, Rooftop, Slice House, and Teleferic Barcelona—to name only a few—have opened. An oft-cited Ohio University study reported that 60% of restaurants close in their first year; 80% close within five years. Insiders debate these numbers, but the food business is undeniably tenuous. As public as many of Walnut Creek’s closures have been, openings have far outnumbered them. This points to a bubble. For our panel, there are just too many tables and not enough bellies. With more new restaurant openings on the horizon—Pacific Catch, Gott’s Roadside, Bay Green Salad, Take One Pizza and Bounty Hunter to name only a few—the question remains, can Walnut Creek continue to sustain unlimited restaurant growth? The answer depends on the size of your stomach.